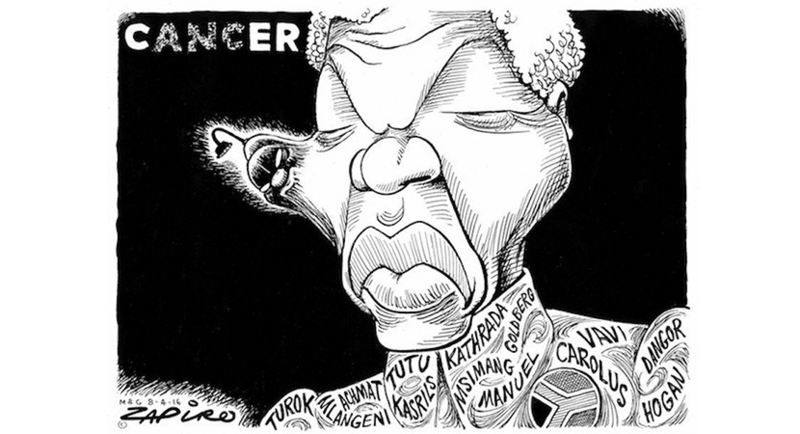 SA’s leading cartoonist Jonathan Shapiro was deeply embedded into the anti-Apartheid movement with impeccable “struggle” credentials. So when he illustrates his views this forcefully, it reflects the thoughts of many. 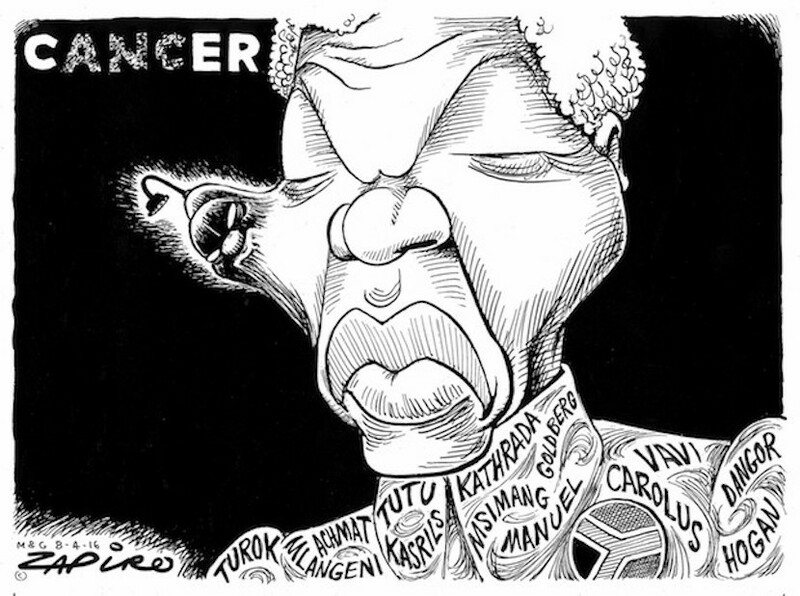 For more Zapiro magic, click here. (Bloomberg) — The board of trustees of former South African President Nelson Mandela’s charitable foundation is seeking an urgent meeting with the governing African National Congress after the country’s highest court found President Jacob Zuma violated the country’s constitution. Opposition to Zuma has spread since December when he fired his respected finance minister, Nhlanhla Nene, sparking a selloff of the rand and the nation’s bonds. The Constitutional Court ruled that Zuma violated the constitution for failing to repay taxpayers’ money spent on his private home, a scandal that has further dented confidence in an administration that’s struggling to revive a stagnating economy and cut a 25 percent unemployment rate. While Zuma said he acted in good faith and the ANC’s top leaders and lawmakers rallied behind him to defeat an impeachment motion in parliament, hundreds of party members are refusing to tow the line and are demanding that he resign or be fired. Those who have called on him to resign include former Finance Minister Trevor Manuel; Dennis Goldberg, who stood trial with Mandela; Ben Turok, who once headed the ANC’s ethics committee, and Cheryl Carolus, the ANC’s ex-deputy secretary-general who has served as South Africa’s high commissioner to London. The foundation’s board said it was also of the view that South Africa has deep-rooted systemic problems that need to receive sustained public attention.